Daniel Quinn Calvert was the son of David W. and Mary Jane (nee Quinn) Calvert, RR 2 Lakeside, Lot 23 Concession 11, East Nissouri. 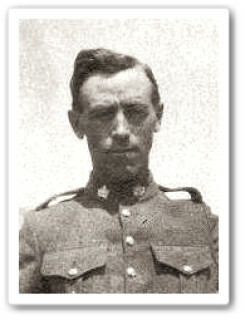 He was drafted in July 1918 to the 1st Depot Battalion. Daniel was married to Hazel Alexandrra Martha McDonagh and they had two daughters - Joy Hazeldine and Sheilagh Maureen.